Tag Heuer watches are Swiss-made luxury timepieces. 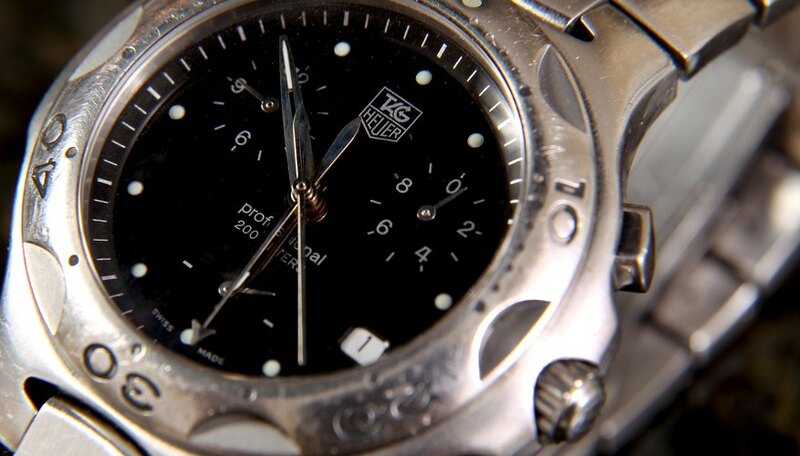 Their quality should make a genuine Tag Heuer watch last you a lifetime. Due to the strong association with sports and Hollywood, Tag Heuer watch ambassadors include some of the best athletes in the world as well as famous Hollywood actors. 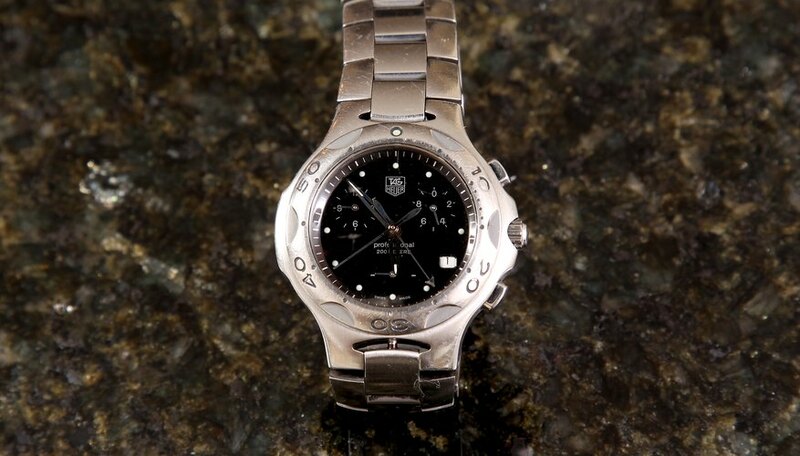 Due to their expense and popularity, Tag Heuer watches are being counterfeited. With a few careful observations, it is easy to tell the genuine article from a replica. Smear a small amount of water on the face of the watch. If the water disperses, the watch is a fake. The watch face of the Tag Heuer is made of the smooth sapphire crystal. If the droplets pull together, it is genuine. Look for dust particles on the inside of the watch face. If they are visible, then it is a fake. 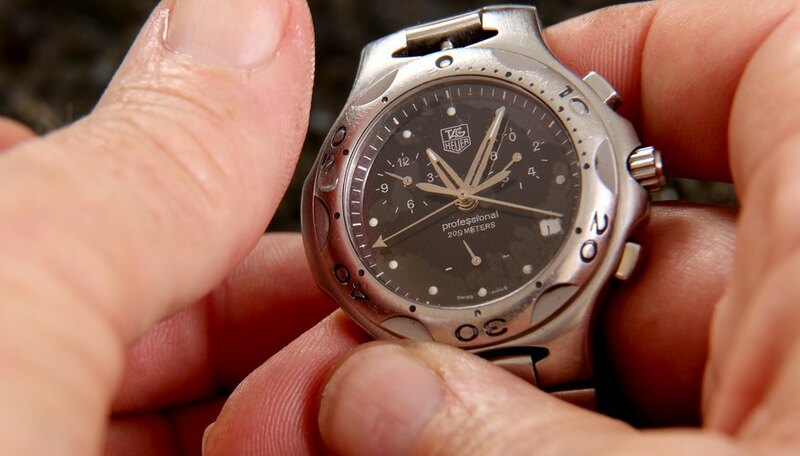 Genuine Tag Heuer watches should not even have a single particle of visible dust because they are manufactured under stringent factory conditions in Switzerland. Check to see if the watch model you have is listed on the Tag Heuer website (see link in Resources). Look to see if all the features are identical in the watch model you have. Many counterfeiters do not copy the exact design but make up their own to allow easy mass production. Examine the watch links. 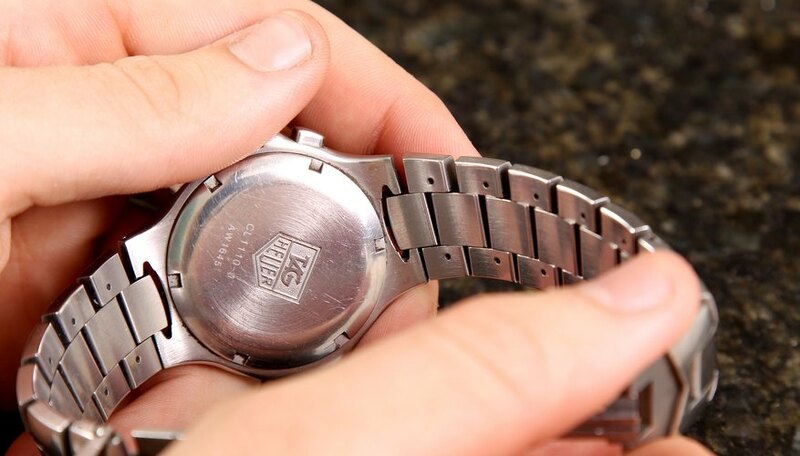 Genuine Tag Heuer link watches will feature a link that is actually made from two pieces of metal that are quite heavy. Fakes have links made from one piece of hollow metal that is sometimes disguised by having seams etched on the side of the links. Test the buttons. 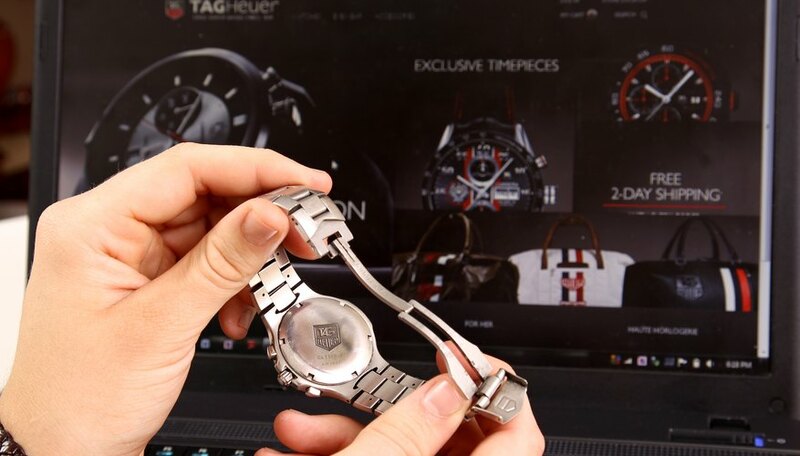 Most Tag Heuer watches feature multiple chronographs that are set by the buttons on the side. In fakes, the buttons will either do nothing, or simply move the second hand all the way around. Inspect the watch in low light or darkness. The hands and dial should glow brightly. 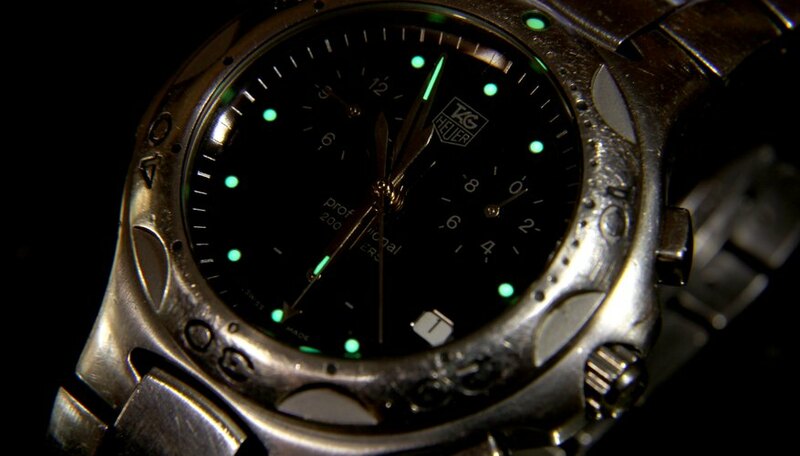 Tag Heuer uses a chemical called "LumiNova" for brightness. In replica watches, either the display will glow poorly or not at all. Buy your Tag Heuer watch from authorized retailers (see link in Resources). If the price seems too good to be true, then it is most likely a fake. 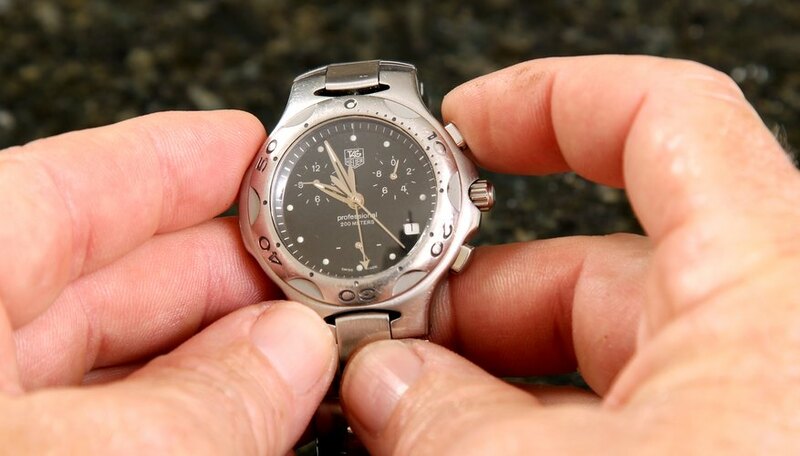 Watch.800citizen.com: How to Spot a Replica Tag Heuer Watch?